Yes, as we’ve mentioned recently, several things are different about TestTrack. We transitioned upgraded our server, we applied a skin that makes it look like our new website, and most recently, we switched TestTrack over to our “beta” of the SCORM Cloud. Truth be told, I’m remarkably happy with how well TestTrack has held up through all of these iterations. It’s undoubtedly a testament to the developers who are working on it. 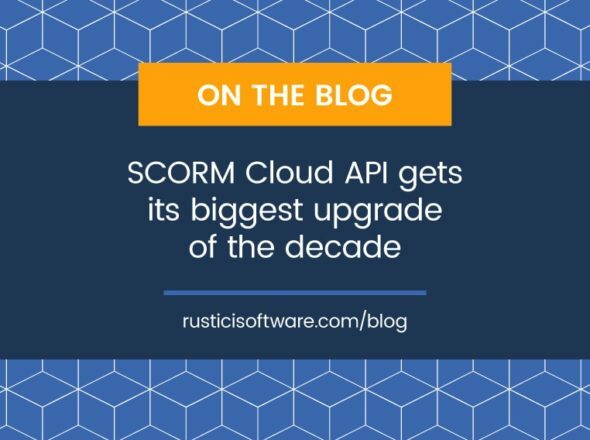 The SCORM Cloud, while built around existing SCORM Engine code, is really a very different architecture from what we had been running. What’s different, you may ask? Is that enough for now? Well, one less obvious change is the use of a linux box for the content storage and delivery. The fundamental difference I’m referring to is that TestTrack is now, all of a sudden, case sensitive. That’s right, the old version of TestTrack ran on a Windows box that was completely forgiving of all case sensitivity issues. The new version of TestTrack still runs partly on a Windows box, but the content itself lives in “the cloud”, and the cloud cares about your capital letters. So, as you develop content and test it on TestTrack, you’ll need to be a bit more wary of this detail.